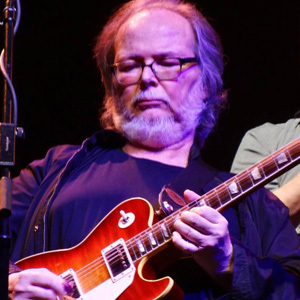 Fans of the legendary rock band Steely Dan received some sad news a few months ago: Co-founder Walter Becker died unexpectedly at the age of 67. The cause of his death was an aggressive form of esophageal cancer. This disease, which is related to oral cancer, may not get as much attention as some others. Yet Becker's name is the latest addition to the list of well-known people whose lives it has cut short—including actor Humphrey Bogart, writer Christopher Hitchens, and TV personality Richard Dawson. As its name implies, esophageal cancer affects the esophagus: the long, hollow tube that joins the throat to the stomach. Solid and liquid foods taken into the mouth pass through this tube on their way through the digestive system. Worldwide, it is the sixth most common cause of cancer deaths. Like oral cancer, esophageal cancer generally does not produce obvious symptoms in its early stages. As a result, by the time these diseases are discovered, both types of cancer are most often in their later stages, and often prove difficult to treat successfully. Another similarity is that dentists can play an important role in oral and esophageal cancer detection. Many people see dentists more often than any other health care professionals—at recommended twice-yearly checkups, for example. During routine examinations, we check the mouth, tongue, neck and throat for possible signs of oral cancer. These may include lumps, swellings, discolorations, and other abnormalities—which, fortunately, are most often harmless. Other symptoms, including persistent coughing or hoarseness, difficulty swallowing, and unexplained weight loss, are common to both oral and esophageal cancer. Chest pain, worsening heartburn or indigestion and gastroesophageal reflux disease (GERD) can also alert us to the possibility of esophageal cancer.